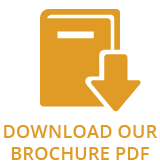 Varde Ovne is one of the leading Scandinavian manufacturers of high-efficiency wood burning stoves, focused on combining functionality, quality materials and designer aesthetics. 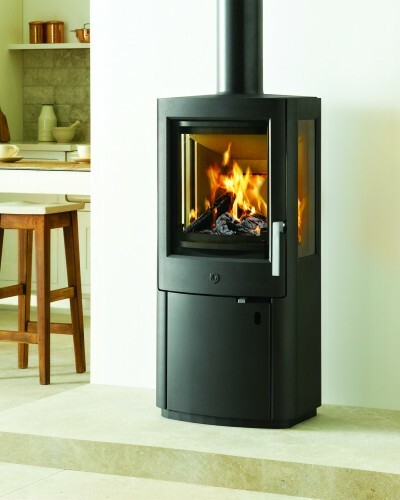 With a stylish collection of freestanding models, each at the pinnacle of contemporary stove design and incorporating the latest technology, a Varde Ovne stove offers complete ease of use and the finest flame experience to bring comforting warmth and an inviting atmosphere into your home. Varde Ovne have a burning passion for creating beautiful stoves that epitomise the fine craftsmanship and design flair that runs throughout their Danish heritage. 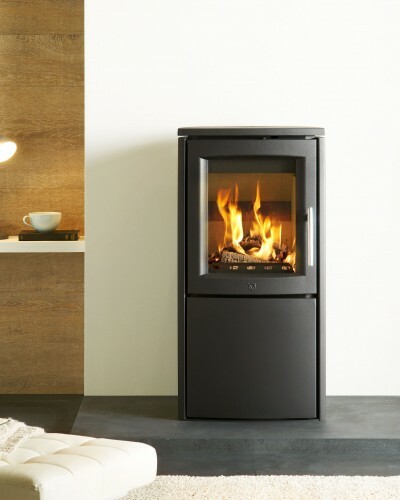 At only 870mm high, Aura 3 is the smallest wood burning stove in the Aura range, making it perfectly suited to more compact living spaces. The Aura 2 wood burning stove is designed with a wider front, providing more space in the log storage chamber under the stove and an excellent view of the flames. The Gazco Riva2 750HL Edge is a breathtaking hole-in-the wall gas fire, featuring a striking log design with a realistic glowing embed bed. This minimalist gas fire will create a stunning focal point in both contemporary and more traditional interiors. Designed to fit into standard 36” chimney openings, this highly efficient gas fire requires no additional flue liner when installed into an existing masonry chimney, facilitating a simpler and more cost effective installation. 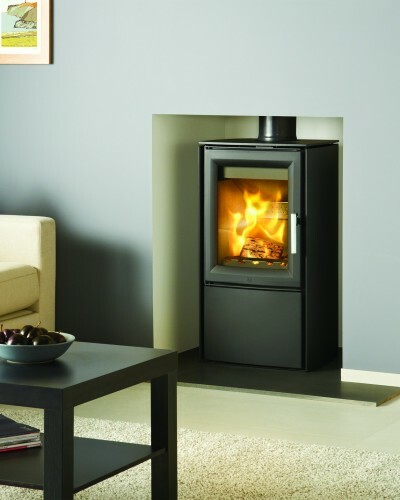 With a powerful 7kW heat output, the Riva2 750HL has a choice of three beautiful linings: Brick effect, Black Reeded and Fluted Vermiculite. It also comes with a Programmable thermostatic remote as standard; allowing you full control over your gas fire. 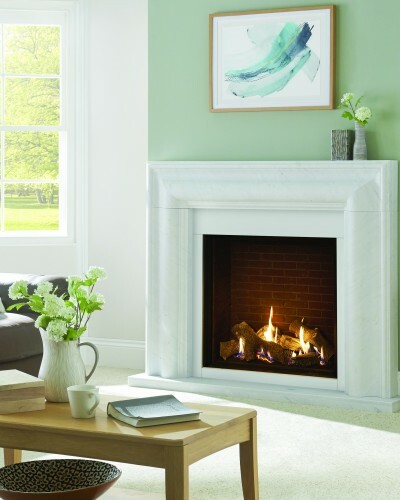 This versatile gas fire can also be complemented by a choice of six high quality stone mantels, creating a grand finish and a timeless fireplace for your home.